Every time a query is placed on Google or any other search engine, it’s answered by it in the best possible manner. The algorithm of the search engine filters out the most relevant information it has in its repository and presents it to the user. It not just matches the relevancy of the text, but also its intent (a human psychology) to whatever pages it has. So, how it’s possible for a machine to learn the human intention? Here comes the game changer: natural language processing (NLP) that is a union of computer science, artificial intelligence, and computational linguistics. Leveraging NLP, a search engine does latent semantic indexing taking into account co-occurring terms and synonyms and comes out with its results. Chatbot development is based on this same science. Businesses with a bid to maintain an edge on competition have to always push their limit of innovation to keep their people productive, and customers delighted and operate in a profitably. In this endless endeavor, AI chatbot is a key milestone. Transforming digital UX, chatbots are enabling businesses to serve their prospects/customers better, reduce their operational cost and move towards creating a profitable yet sustainable business model. 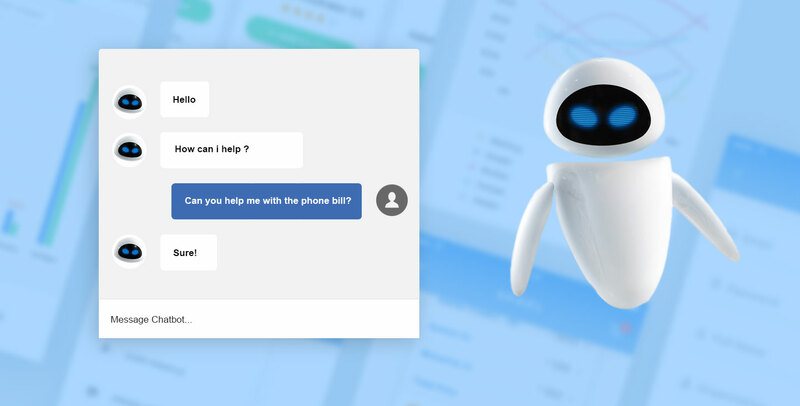 Let’s see how some of the world’s best talking bots, as chatbots are commonly referred, are helping businesses in their pursuit across different sectors. This AI chatbot, available for individuals, employers, and health insurance providers is in fact, a crusader against chronic diseases, including hypertension and diabetes. Users can seek preventive and curative solutions and meet their fitness goals and lead a healthy by getting a cure. What the key capabilities or features of Lark? It serves as a personal health instructor. 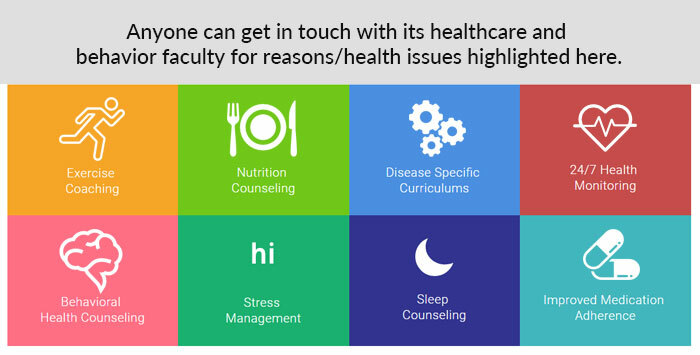 Anyone can get in touch with its healthcare and behavior faculty for reasons/health issues highlighted here. Reckoning health symptoms and understanding the causes of a health issue is a daunting task even for experienced medical professionals. So, isn’t it surprising to see a machine performing the same? Kudos to its chatbot developers who have meticulously harnessed the power of NLP to understand users. While working hand in glove with health IT experts and health professionals, they have crafted tailored counseling sessions focused on analyzing the health issue of the users and providing them with the right remedy they are looking for. With AI chatbot entering into personal finance management, you won’t mind retiring your calculator and excel sheets. Link this AI chatbot with your credit or debit card, and bid farewell to financial hassles - managing incomes and expenses. So, you don’t need to look into your bank or credit card statement again and again. It also alerts users of the upcoming due payment date. So, manage your finances more smartly. This chatbot is not just a record keeper, but also a finance advisor. So, you don’t need to share your personal information with any CA (chartered accountant) or finance consultant. You can seek answers to your queries and get prudent and accurate suggestions regarding how to achieve your short- and long-term goals. 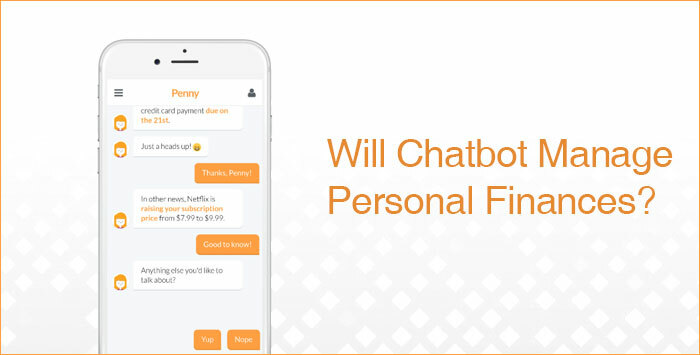 This AI chatbot chats with you about your finances and keeps a tab on your past credit or debit associated with different accounts. Apart from NLP, what’s attractive about the app is its ability to perform quick and accurate computation on data to come out with meaningful stats depicting the financial health of the user. The stats are also translated into texts to provide an overview of current incomes and expenses and recommendations on how to improve the finances. Over the time, the AI chatbot becomes smarter as it keeps on collecting more and more data. 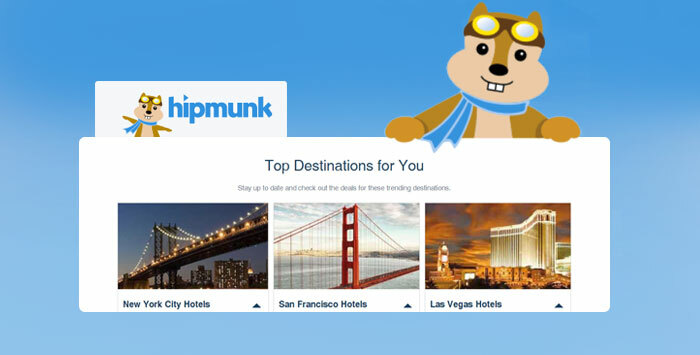 Hipmunk, an online hotel and flight booking firm, brought this AI chatbot to help travelers explore travel information and book flights, hotel, and car rentals and buy vacation packages in a quick and easy manner. Travellers can do so while chatting or sending an email. Chatbot developers behind this intelligent piece of software have done an appreciable job by enabling the business to connect with its global customer base who are looking for flights, hotels, cars, etc., impatiently. The chatbot not just helps with improving customer-response time and customer acquisition but also containing the rising operational cost. Equipped with artificial intelligence, the chatbot is smart to read any discussion about travel plans on the user’s device. It preferably focuses on emails and calendars where most of such a discussion takes place. It can answer market and property questions to engage and qualify your leads. 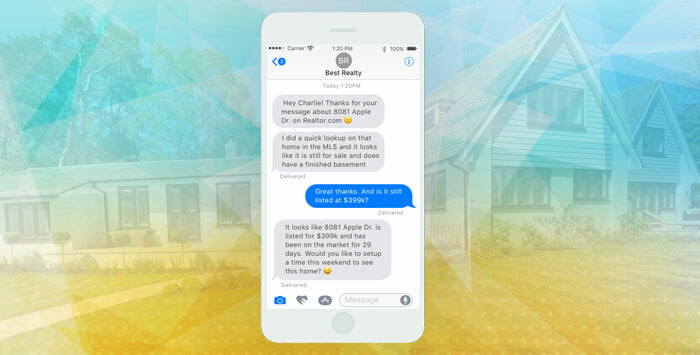 The AI chatbot can respond to queries about MLS data, property search, and market stats, and help the real estate agent with active lead follow-up. Hence, for realtors, it could be the perfect companion to help them drive user engagement and acquisition. 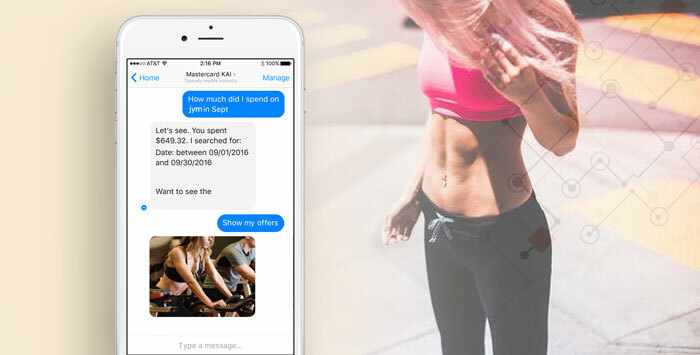 What makes this chatbot unique is its capability to engage with MLS and map APIs and retrieve data matching the user’s queries on a real-time basis. The lead management platform that it offers is also worth getting attention. A well-managed program helps in optimizing the customer acquisition, checking drop-outs, and delivering a better customer experience. 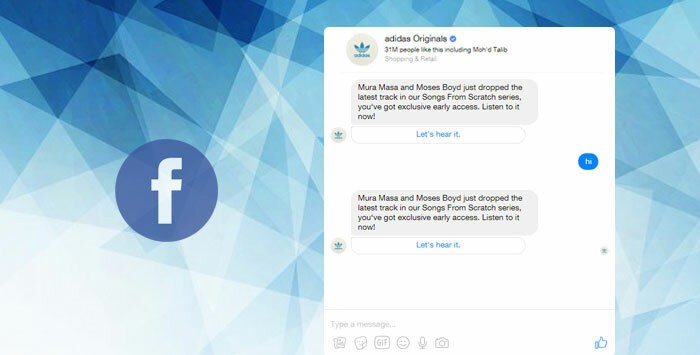 This is a Facebook Messenger-based chatbot that helps the brand to reduce the customer-waiting time when they have a query. By improving the customer response rate, it’s helping the business to have a sound brand reputation which, in turn, helps with driving brand loyalty. Delivering a flawless customer service and retaining customers are challenging tasks and when it’s in the context of a brand as reputed as Adidas, you can understand the height of challenge. Hence, chatbot developers behind the scene deserve a big applause. They have utilized the Messenger Platform of Facebook to create an engaging, agile and secure chatbot.